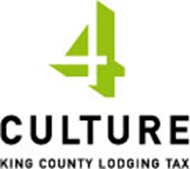 Welcome to Eastside Stories, a new series from the Eastside Heritage Center. Through these periodic postings we will bring Eastside History to life and highlight the people, places and events that have shaped its remarkable evolution. We’ll begin our series of Eastside Stories with one of the things that made settlement of the Eastside possible: ferries on Lake Washington. The earliest settlers got around by rowboat and canoe, but for the Eastside to grow as an agricultural area and as a commuter suburb, it would need reliable transportation to the burgeoning city of Seattle. By the 1880s, entrepreneurs had seen enough people settling around Lake Washington to justify ferry service. The first problem was to get boats onto the lake, since the Lake Washington Ship Canal was still just a pipe dream. Some early ferries were built in yards in Seattle and Houghton. Others were dragged up the Black River, which drained the lake through Renton. Early passenger steamers, like Acme , Dawn and Elfin needed a place to land. King County built a series of wharves around the lake, and most residents lived within easy distance of a ferry landing. And there was always the option of flagging a ferry for an unscheduled stop at a private dock. By the early 20 th Century, Seattle was growing like crazy—from 50,000 people in 1890 to 250,000 in 1910—and all those new people needed to eat. Eastside farmers could supply produce, but loading it on and off small steamers would not do the trick. So, ferries for wagons and the growing fleet of cars and trucks began to ply the lake. The vehicle ferries Kent , Washington and Lincoln served on the Madison Park-Kirkland route beginning around 1900. 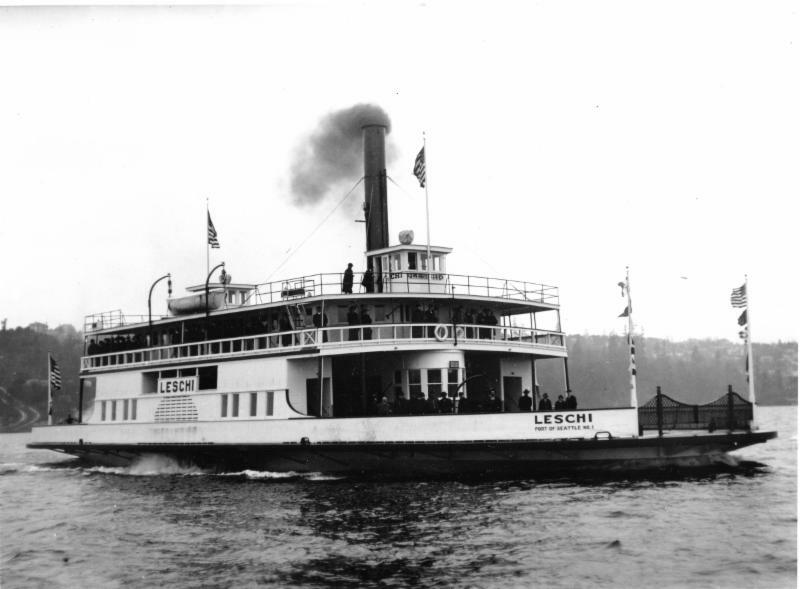 The most ambitious ferry project was the Leschi, a steel-hulled ferry commissioned by the new Port of Seattle in 1912. The ship canal had still not opened, and there were no yards on the lake that could build a steel hull. So the hull was fabricated on the Duwamish, disassembled and re-assembled at Rainier Beach. The Leschi originally served Meydenbauer Bay and Medina (that's the Leschi in Meydenbauer Bay in the background of the the EHC logo) but the Meydenbauer stop was dropped in 1920. The Seattle-Medina route ran until the day before the new floating bridge opened in 1940. Car ferry service kept going to Kirkland through World War II, mostly to get shipyard workers to Houghton. The last of the lake’s passenger steamers, the Ariel, which served the Points Communities and Houghton, retired in 1945. The early steamers were lovely to look at, but like wooden steamboats everywhere, they often had short lifespans. Fires, exploding boilers, rot and sinking were the fate of nearly all of the lake’s small ferries. When Captain John Anderson began to buy up the ferries on the lake he brought some order to the chaos, but also took some of the fun and romance out of it. About once a decade we get another study of returning ferry service to Lake Washington. The economics have always been a challenge, and the slow speed limit in the ship canal makes for a long trip to Lake Union. A new service from Renton is now in the offing. ﻿But Lake Washington is still full of passenger boats doing what those early steamers all did for extra money: sightseeing excursions on the most beautiful urban lake in America.